*UPDATE* The new Bath #2 citizen’s group has met and has been getting down to business. And Lester Freeman has finally surfaced. Bath #2, but Mayor Jennings threatens use His veto for the first time ever. Once again the government of the City of Albany is planning to rob the South End of one of it’s last remaining publicly owned treasures and create an abandoned building. 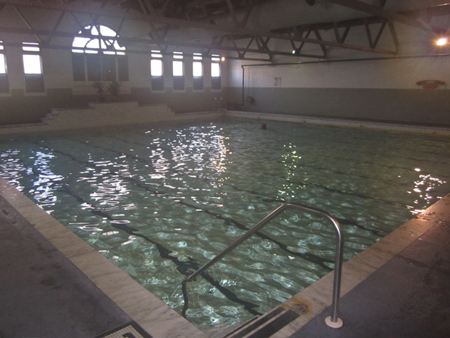 Bath House #2, one of the last all year heated indoor swimming pools in the City and the only bath house that has not been demolished, is about to be deprived of operating funds. Closure is scheduled for the end of November. Just like that. The official reason is the usual. The City is suddenly without warning having it’s annual “budget crisis” due to mismanagement, and there’s just simply absolutely no money available to keep it open. This is pure and utter nonsense. As a registered federal historic building located inside the Groesbeckville Historical District, there’s a whole boatload of grants and funding opportunities available to not only keep Bath #2 open but to also turn the surrounding buildings on that block into a showplace. But apparently the City does not want to bother. And once again your humble blogger has managed to anger and annoy our City officials by getting in their faces for laying waste to the South End. Why am I so rude? Well, after decades of hearing the same tired lines to justify applied neglect and destruction of the South End, I can’t bring myself to be polite when they pull this same old crap against us one more time. On the morning of the Saturday before the first snowfall of the season, I went down to the short block of Fourth Avenue between South Pearl Street and Franklin Street. For people who don’t live in the South End this is an obscure location. The task of finding this block and of finding Bath #2 is made even harder by the visible decay of the surrounding neighborhoods, the end result of more than sixty years of applied neglect by the City government. 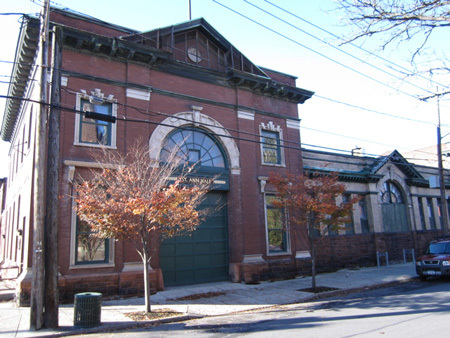 This is an old City firehouse, built back when the buildings used to house fire equipment were considered an important part of every neighborhood. When the City “consolidated” firehouses some thirty years ago, some of these amazing buildings were incorporated into the new system and are still being used today. Those buildings were kept open as a gesture of appeasement to neighbors who did not want to lose either the beautiful buildings or neighborhood fire protection. Unfortunately, there was no one considered worth appeasing in the vicinity of the Fourth Avenue Firehouse, so it was left as an abandoned building owned by the City. Eventually the City was able to unload the building, and fortunately it ended up being used for something more than storage. 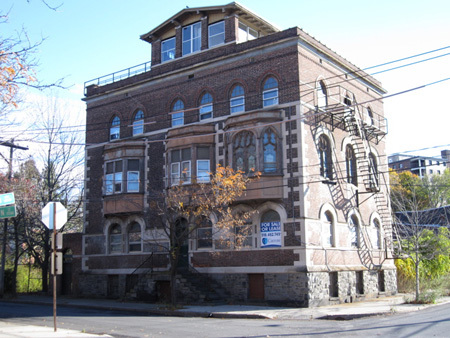 Today the St. Ann Institute owns the building as offices for itself and for nonprofit tenants. If you turn around from the firehouse and look across the street, you will see the now former St. Ann’s Church, which has not been condemned to be closed by the Catholic Diocese of Albany. At least not yet. This past year the congregation of St. Ann’s has been merged with the congregation of the former St. James Church up on Delaware Avenue, an architectural treasure in it’s own right. As of this past autumn both churches are now clumsily renamed St. Francis. At least both buildings remain open and continue to be used for their original purpose. 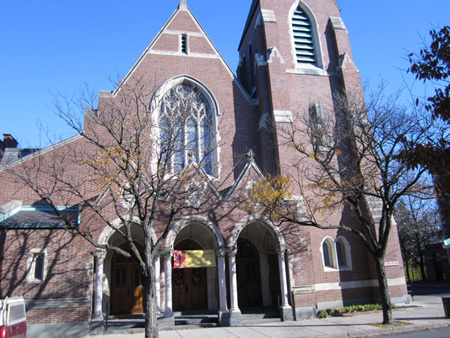 Over the past thirty years or so the Albany Diocese has been aggressively closing urban churches throughout the region, while simultaneously investing in suburban churches and expanding into money making operations such as upscale nursing homes. As a result, our City has a number of highly visible abandoned hulks that are causing increasing embarrassment to Bishop Howard Hubbard. Of course, the Albany Diocese is doing what all the other local branches of mega corporations are doing, fighting a war against our Cities by denying vital services and demanding that we drive cars to their suburbs to acquire those services. Bishop Hubbard has been acting exactly like CEO David Brown did to our YMCA on Washington Avenue. And he is trying to do what the arrogant US Postal Corporation clowns are doing to our Delaware Avenue PO, which is now slated to shut at the end of the year. 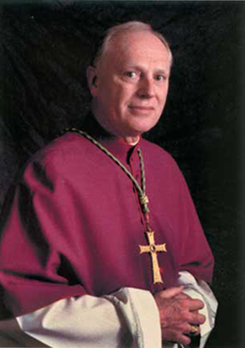 The reason given by the Diocese for these aggressive anti-urban policies is the same given by the other corporations: The Revenue Is Not There.” In actuality, Bishop Hubbard long ago made the decision to follow the older richer Catholics as they move to the suburbs, almost completely abandoning the much poorer Catholics who have now have settled in the Cities. The CEO of the Albany Diocese has, in my opinion, consistently placed money making in front of the spiritual mission of The Church. Actually, there is a movement afoot in our local Cities to force the Diocese to take responsibility for the church buildings it wants to abandon and leave as rotting hulks. The City of Amsterdam has taken the lead and filed suit, they want to start taxing the Diocese for these abandoned buildings after they are empty for one year because they are no longer being used for religious purposes. Schenectady and Troy have jumped at this opportunity to keep these buildings open, while Albany, I understand, has only reluctantly joined the bandwagon. Thus St. Anne’s and St. James remain open, but only because their respective congregations have demanded so. I think it rather apparent that Bishop Hubbard, as a committed corporate socialist., is unable to understand that the money woes of the Diocese are ultimately caused by his organization’s corporate style devotion to the bottom line. More of the same application of secular corporate practices will continue to make the Diocese’s financial problems worse. 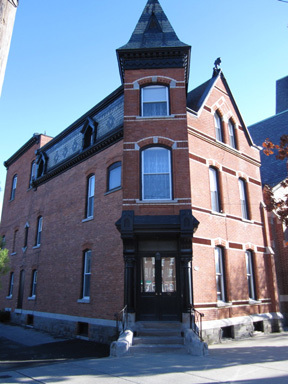 This gorgeous building with the mansard roof is directly across the street from Bath House #2. I’m told it used to be the rectory for St. Anne’s Church, back when Catholic priests still lived in and were part of the community that they ministered. I’m afraid I don’t know the current use for this building. All I can say is that someone is taking excellent care of the building, keeping a big slate roof edifice in such good shape can get mighty expensive. Across Franklin Street from St. Anne’s is this wonderful building that’s been for sale a long time. St. Anne’s used to support nuns and monks on this site, this is where they lived. If some well heeled pioneer wants to help transform the neighborhood there’s no need for him or her to live in a run down shack. Man, I’m not much for showing off but if I lived in this building I’d bring everybody down this way to check it out. Make no mistake about it, government maliciousness is what caused the surrounding neighborhoods to decay so thoroughly, and maliciousness caused this extraordinary block to be hidden and nearly forgotten. And it is that spirit of maliciousness that moves the City administration to close and abandon Bath House #2. The City is giving us taxpayers the same reason for shutting down Bath #2 as the local corporations always give for shutting down other vital urban services, “The Money To Keep It Open Is Not There.” This is an utterly bogus excuse. In fact, this excuse is dangerously close to being an outright lie. 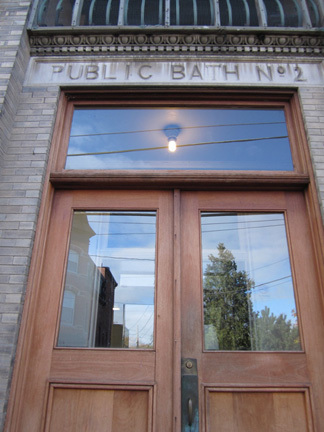 Bath House #2 is a designated federal historic landmark. The entire block is in the middle of the Groesbeckville Historic District. This means there are pot loads of funds available to transform the neighborhood, all the City has to do is ask. Albany Mayor Jerry Jennings knows this very well, His refusal to do access funds reveals His attitude toward the South End. Mayor Jennings did not exactly announce the impending closure of Bath #2. Instead, He merely sent the City budget for 2011 to the common council with a row of zeros in the space provided for funds for operating costs for the building. Basically, He left it to our legislators to ignore the stealthy defunding or deal with it as they may. This is a far cry from the way His Majesty announced the closure, destruction and privatization of the Lincoln Park Pool in 2002. Strutting and crowing triumphantly, the Mayor announced that “the City had formed a partnership” with a private outfit who would replace one of the largest outdoor swimming pools in the world with a much smaller pool. And of course the privateer partners would charge my neighbors around Lincoln Park for use of “their” facilities. This plan backfired badly. Some 250 people by my count, mostly from the South End, came down to the Lincoln Park Poolhouse in drenching rain to confront the Mayor. Not one person endorsed Jennings’ privatization of dedicated parkland plan, everyone demanded that the City continue to operate our pool. And we demanded that the City stop neglecting the pool and resume regular maintenance, which had almost ceased shortly after the start of Jennings’ first term. 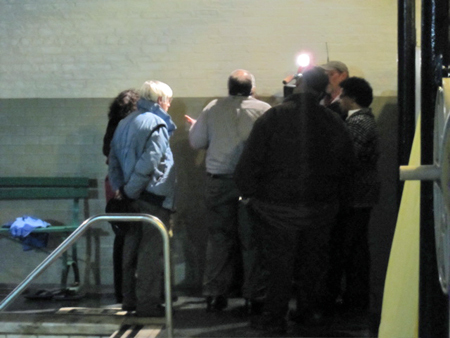 By the end of this confrontation, the Mayor and His minions, standing exposed before the defiant crowd, looked stunned. This was the first time I’d seen that expression on Jennings’ face, the look of defeat. I don’t believe He ever expected to see such behavior from the people of the South End. That’s why the Lincoln Park Pool is still with us today. Jennings has been hot to close Bath #2 since He took first took office, in 1998 He announced the closure of our pool with His usual bravado. Back then the pool was not suffering the effects of denial of routine maintenance and was very still popular. The old timers tell me that during peak hours there was often a line out to the door of people waiting to use the pool. The story goes that the late Alfrieda Textores, staunch and feisty defender of the South End, organized a very successful call in to the Mayor’s weekly AM radio show. Folks still remember the elderly nun who, with a quavering voice, thoroughly chastised Jennings over the radio waves until the Mayor was reduced to humble apologies. Alfrieda managed to browbeat the Mayor so thoroughly that He didn’t dare try to close Bath #2 until years after she passed away and was unlikely to repeat the humiliation. Alfrieda is gone but the Bath #2 is not alone. It was, of course, Dominick Calsolaro who alerted the public at the end of October to the imminent closure. 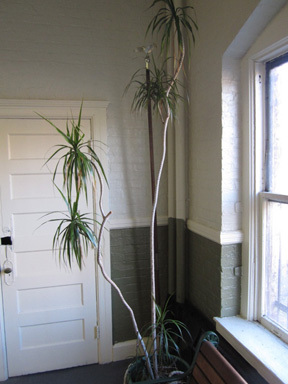 While the building is not part of his First Ward district, Dominick has long been involved with the Bath #2 and with that block of Fourth Avenue, back when Dominick helped administer the old Weed and Seed program with the late Reverend John Miller. And right in the middle of all this is The Wife. Bath #2 is where she learned learned to swim some eight or nine years ago, and she still swims regularly for much needed health and exercise. But since the closure of the Washington Avenue YMCA there is no indoor pool nearby that she can use. Thus she takes the announced closure personally. I want you all to know that The Wife has become quite expert at instant rabble rousing. Within a few days she cleanly and efficiently organized a rally that took place in the lobby of Bath #2. I counted well over sixty people attending, not bad for so fast, and plenty of media showed up. 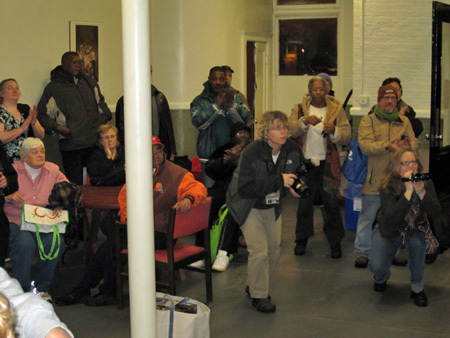 This rally was timed so that the public could meet the members of the Common Council, who arrived to tour the facility with Commissioner John D’Antonio and other officials of the Department of Recreation which oversees Bath #2. The idea was for the Common Council members could see for themselves the amount of work that needed to be done. As for The Wife, her idea was to show our elected officials that we the taxpayers do indeed care about our pool and community gathering place. Besides Dominick, four other Common Council members showed up. Leah Golby (Ward 10) was the most enthusiastic in favor of keeping our pool, like The Wife she learned to swim here. As importantly, Ms. Golby told the crowd that she used the pool when she did not have the time or money to regularly attend some far away and expensive facility that could only be accessed by car. Michael O’Brien (Ward 12) and Ron Bailey (Ward 3) took the tour, both made skeptical noises and seemed surprised to see the crowd and the media. Common Council President Carolyn McLaughlin made a special point of attending, this used to be her ward before she became President. Although she remained non committed her tone towards Bath #2 in her usual rousing style speech to the crowd was decidedly negative. On my way back to the lobby Commissioner John D’Antonio accosted me, to my surprise he was worried that I would say terrible things about him and his department on this blog. I assured him that I had no intention of doing so. But now I am wondering what awful things they are currently saying about me to each other down at City Hall. Ha! Several of the Common Council members who did not show up have weighed in on Bath #2. After a public email argument I had with Anton Konev that afternoon, the 11th Ward representative finally revealed that he would vote against funding our pool. Anton had originally announced that he would tour the pool, but canceled at the last minute. Frank Commisso Jr. of the 15th Ward, which is the furthest part of Albany from the South End, told the Hearst-owned Times Union that he did not think that “it would be worth raising City taxes a percentage point just to keep the pool open.” But again, raising property taxes is not the relevant issue. It’s all about whether or not the City is willing to access available moneys and radically change it’s policies toward the South End. Mr. Commisso’s wrong-headed attitude toward Bath #2 may be understandable considering that his Ward is so far away from downtown and contains so much sprawl. And perhaps he is trying to temper his comments so as to position himself to make a move for the Mayor’s office a little ways up the road. But please consider that this is a guy who has not objected in the least bit to Jerry Jennings obliterating a good part of his own 15th Ward under an ever expanding mountain of garbage and toxic sludge. And everyone is asking, where’s Lester Freeman? Bath #2 is in his Ward. 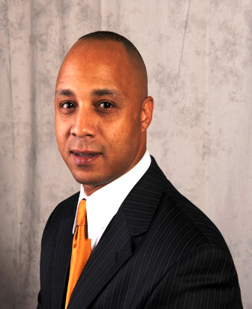 The 2nd Ward Common Council member has been mostly missing in action this fall, not attending Council committee meetings and leaving early from those meetings that he does attend. That's what I've been told. And his listed phone number has been disconnected. The day after the rally, one of the TV stations was searching for Lester to interview him about another matter concerning his Ward, again he could not be found. Whoever heard of a politician who didn’t want to be interviewed? The Wife tried contacting Lester as early as October 23 via email to ask him to speak at the rally but he did not respond. When she finally found him the day before the rally he emailed her that he had not responded to her because he was annoyed with Dominick for holding a press conference about a matter in another member’s Ward! Of course, it was The Wife who set up the rally and called the media. In any case, Lester made it clear that he wants Bath #2 closed. It appears that Mr. Freeman is currently experiencing some sort of ongoing distractions from his elected duties. Perhaps that is why he wants to close our pool. I hope that he can deal with his problems and get back to the business of serving the community. And hopefully he will educate himself about the importance of community centers like Bath #2. Will These Doors Be Shut Forever? At the Monday rally a citizen’s committee was formed, with Willie White of the recently formed AVillage as the coordinator for the effort. Mr. White comes out of Trinity Institution, the surprisingly little known community service group that has had such a positive impact on the downtown neighborhoods. 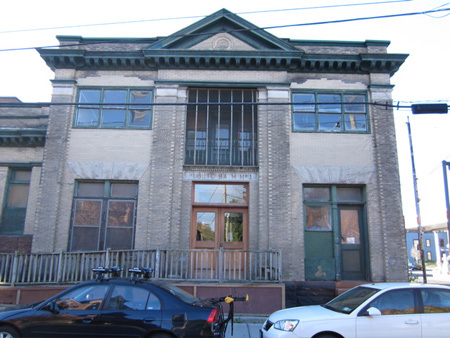 Under Mr. White’s direction, AVillage is currently renovating a formerly abandoned house along lower Morton Avenue for their offices. In passing I should note that this past summer AVillage circulated a petition to get the Capital District Transit Authority (CDTA) to run a bus along the Morton Avenue/Holland Avenue corridor. They collected more than 3000 signatures. In response CDTA, another one of those corporate style outfits that ire fond of limiting urban services, was forced for the first time to acknowledge the longtime request for a bus in my neighborhood. Will Bath #2 stay open? It all comes down to how badly we want to have a place to gather and swim when we want or need to. Unlike all those hostile CEOs, our elected officials can’t hide from us, and they can’t blow us off unless we let them. Stay tuned. Once again you misinterpreted what I said publicly. I said I want to keep the bath open and want to 1) ensure it is done right = bonding more than just for simple repairs - hey if we can find grand money we can get reimbursed later and pay back the bond 2) ensure that we get some programming in there, get the usership up by marketing 3) find money in the budget for operating expenses (so far no one has been able to come up with a definite solution we could do within the charter limits). You are more than welcome to offer a solution to that operational funding problem. Amenities such as pools, post offices, grocery stores, gyms etc. are what keep urban professionals....urban! And keeping urban professionals means more taxes for the city. Why don't they take that into account? I find it remarkable that some of the same people who tout the supposed magic of "trickle down economics" don't consider effects like this on the local level. Anton is opposed to keeping it open because he isn't allowed in the pool, what with his history of public urination and all. Off topic: I wish you had some sort of feed whereby Blogger would tell me you have as new post up. Maybe it's RSS - it's all Geek to me - but maybe your wife can do something. Roger- My apologies. The problem is that I have limited control over the website. For example, I've been waiting some four years for that "Web (optional)" line above to start working. It's very embarrassing to me but there's nothing I can do about it. I was assured many months ago that after some glitches the RSS has been working perfectly with no more problems. Last night I was informed by the person in control that it hasn't worked for many months. Thanks for letting me know, otherwise I would never have found out.